Have you heard of broken plan living? No, not open plan, broken – it’s a term that emerged during the RIBA House of the year award finals. Mary Duggan from the judging panel noticed that many of the designs reaching the final stages of the prestigious competition had moved beyond open plan space design and were starting to incorporate nooks and crannies that were joint up but also allowed separation. The fluid movement of open plan living is still very much a thing but partly driven by the increased use of individual electronics such as smartphones and mobile phones, there’s now a need for additional private relaxation areas. To tap into the trend you can maintain flow of light by fitting internal bi-fold doors, these from Vufold are floor to ceiling designs and can be folded back to open up the room. Other options include the fitting of glass or Perspex panelling or even sliding walls. Tech fans might choose to step things things up technologically by selecting furniture that incorporates electronics and also divides up the space, promoting minimalism and practicality. Neutrals, pale pastels and brights has been a hot colour combo for some time, particularly when it comes to Pinterest-perfect looks for blogging spaces. Now it’s time for a much more exotic and opulent update as brights combine with darker shades for a little more drama. We’re familiar with metallic from the industrial interior leanings of the last few years, but this firm favourite also gets a luxe update as designers swap copper for splashes of gold. Along with a contrast of colours comes distinct textures, providing interest without being overbearing. In the living room, think chunky woven patterned rugs alongside gold embellished mirrors and lighter coloured walls. These blended shades are undeniably a little friendlier on the eye than last year’s shade, the dark plum hue Marsala, and will undoubtedly make their way onto the walls of some seriously cute bedrooms and bathrooms over the next year. If you’re wondering how to incorporate them into your next project, check out Pantone’s suggestions for colour pairings. Do you have any redecorating or renovation plans for 2016 and do any of the above trends have interiors appeal for you? Are you already shopping artisan and have some sourcing tips to share? Comment below with all your interiors plans and tips. I really like the idea of a broken living plan. I want my home to feel open, but I don't want everyone who comes in to see my sink full of dirty dishes. So this sounds perfect. Open, but with breaks. I really like the brights and darks trend too. So much more interesting than the pastels and white I see everywhere. Thank you so much for sharing these trends! This is so inspiring. Thanks for sharing this. Love the blended walls. 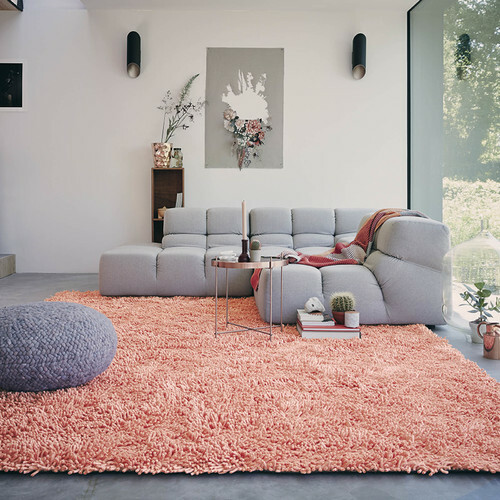 My favourite is the brights and darks trend with the gorgeous rose quartz rug and the neutral walls. 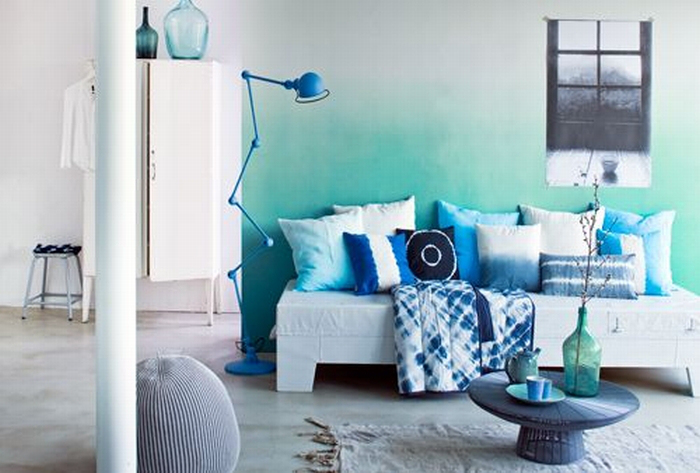 Oh I love those blended walls – I can also foresee plenty of disaster walls popping up too. Interesting post. I like shade blending! Another great post as always. Your blog makes me excited to have my own space! I love these colour combinations. Glad I found your blog as I was just going to change my living room decor. I like the brights and dark combination of interiors. Shade blending looks interesting. but what do you do when you need to touch up the paint?